Suraj is the only child of Sunitha and Balaji. After 7 years of marriage, Sunitha gave birth to Suraj. 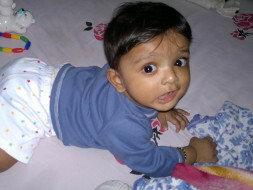 Suraj was an active healthy baby till he turned one month old. Suraj started falling sick quite often and was losing weight. He was diagnosed with Congenital Neutropenia - a condition that causes affected individuals to be prone to recurrent infections. There will be a massive shortage in a specific type of white blood cells in the blood which results in poor immunity. Sunitha and her husband have spent around 25 lakhs for Suraj's treatment in the last three years. 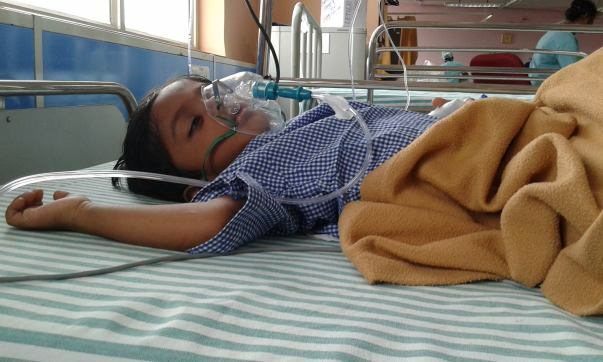 With the help of their family and friends, Suraj's parents have raised close to Rs. 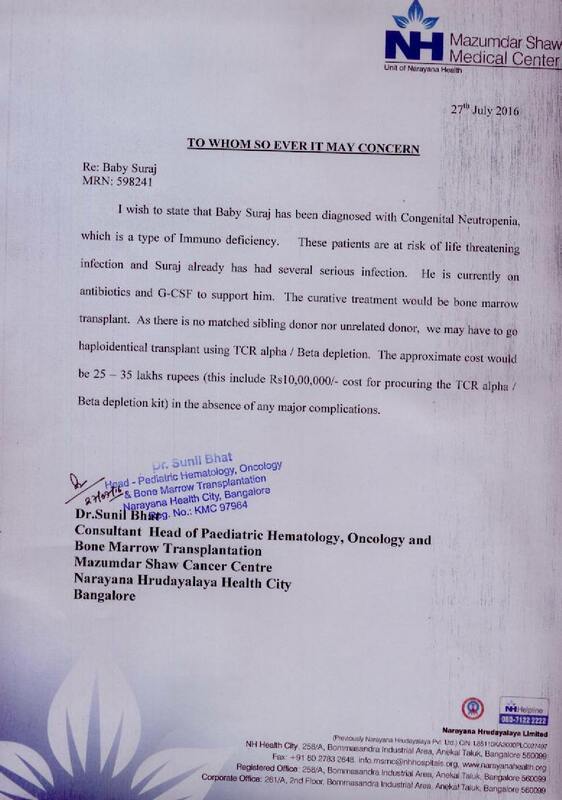 7 lakhs for his Bone Marrow Transplant. As the surgery cost is 35 lakhs, the family is in need of 30 lakhs more to undergo the treatment for their only son. The remaining funds will be used for post-operative treatment and recovery. As every other child, Sunitha wants her child Suraj to go out and play and lead a normal life without being confined to house. Your contribution can make a difference to this child's life. Suraj passed away on 21.10.2017. 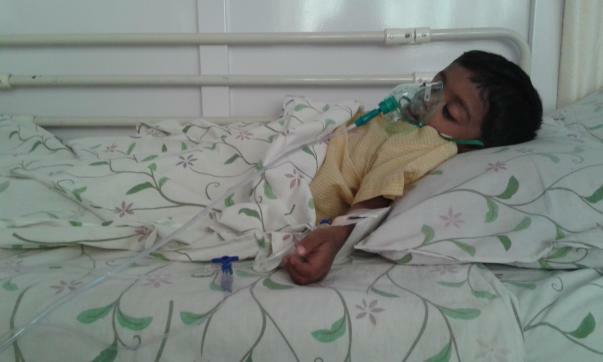 Suraj’s body rejected his mother’s cells. His bone marrow was too unhealthy to accept donor cells. The entire funds raised has been utilized for the treatment. We are grateful to all the supporters who came and helped us in the time of need. Here is a quick update on Suraj's health. He was hospitalised on 28th August for the pre surgery checks. He underwent his 3rd bone marrow transplant on the 9th of September. A few tests were conducted and the reports of which are still awaited. The doctors have kept him under observation as the time after the bone marrow transplant is highly critical. Thank you all for all the love and support you have shown him. Please do keep him in your prayers. "Suraj underwent a transplant in October 2016 which got rejected and he underwent a second transplant in November 2016. His body rejected both the BMT. Third transplant has been planned in first week June. He is feeling better now although his blood count is not good. We hope this BMT will go well and our son's health will be back. We have been raising funds through several mediums, friends and family to help our son's treatment."